International Water Company was formed with one singular purpose: to provide clean drinking water solutions to improve the lives of individuals where potable water is problematic or non-existent. The idea for the company came in the wake of the devastating earthquake in Haiti in 2010. Hundreds of thousands of people were adversely affected by the lack of access to potable water. Furthermore, the solutions available to provide drinking water were inefficient, difficult to operate an ecological disaster, and ill-suited for extreme conditions. The founders of IWC saw how badly a solution was needed, and invested millions of dollars in research and development to design an easy to use water purification system to address that global need. We believe our easily transportable, mobile water purification system is the most sustainable, rugged, reliable, and easy to operate water purification system available on the market today. International Water Company manufactures water purification solutions for both mobile and stationary applications for municipal supply, defense, strategic, emergency, and disaster relief. IWC’s products are environmentally friendly and engineered from a “trenches up” position rather than a “technology down” mindset. Consequently, IWC’s products are field tested and proven. IWC is a registered federal contractor, currently working on subcontracts with the U.S. Department of Defense, major defense contractors, and various entities in the public and private sector. IWC has distributors and strategic partners in several countries throughout the world and continues to expand its network of partners. 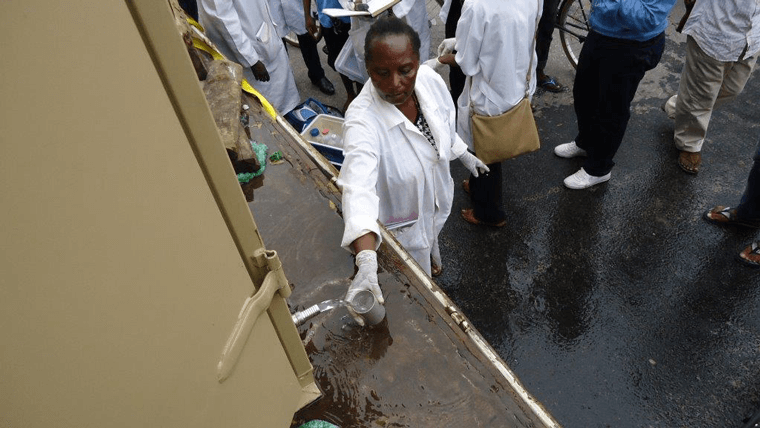 IWC currently has Mobile Water Purification Systems in the Peoples Republic of China, the United Republic of Tanzania, and the Republic of Ecuador and Taiwan. The knowledge gained from working on US and other government subcontracts and projects and the R&D, manufacturing, and exports to some of the most challenging regions in the world has been very beneficial in the development of our latest product – the MWPS-4000. 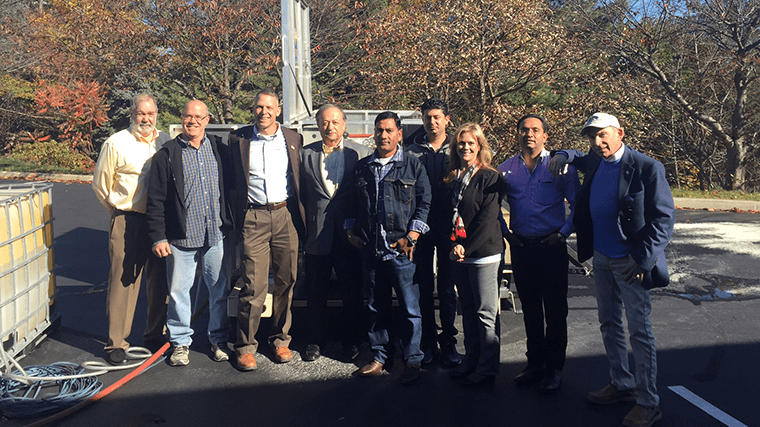 Much of the automation used in our new system came from experience gained working on a U.S. Department of Defense project for gray water reuse. 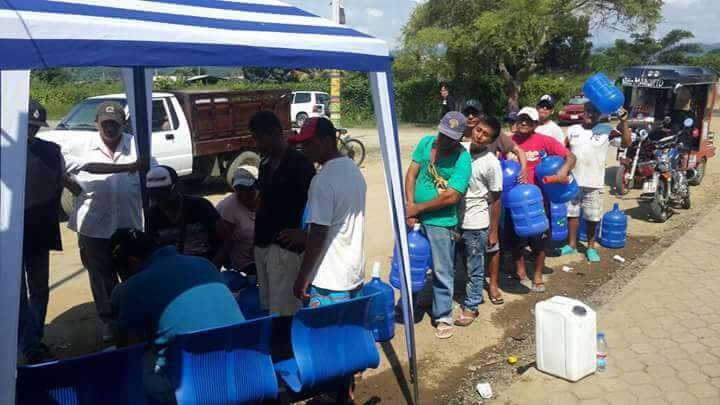 We gained invaluable knowledge distributing water in Ecuador with our prior system, the MWPS-15, after the devastating earthquakes in April, 2016. Embedded with the Ecuadorian Army Corp of Engineers near the epicenter of the earthquakes, the MWPS-15 provided over 4 million liters of purified drinking water in three different municipalities, validating the durability and reliability of the system. International Water Company has been recognized by many manufacturing and business organizations. June, 2016: Letter of recommendation from the Senior Captain of the Logistics Command Post in San Vicente, Ecuador from the Corp of Engineers (COTOPAXI) for the charitable distribution of 86,000 liters of water per day after the earthquake on April 16, 2016. June, 2016: Letter of recommendation from the mayor of the city of Bahia de Caraquez, Ecuador for the charitable distribution of over one million gallons of water from April 22, to June 15, 2016 after the earthquake on April 16, 2016.
International Water Company (IWC) came about in the wake of the disastrous and tragic earthquake epicentered at Port au Price, Haiti in January, 2010. As the world's population increases and natural resources are depleted and further compromised, the growing importance of clean drinking water looms ever more largely as the access to it becomes more and more contested and limited. The simple fact is that, on any given day, over two billion people, 1/3 of the world’s population, are in dire need of clean, healthy drinking water. Consequences of water-borne diseases and lack of irrigation water compound in a vicious cycle of deprivation, resulting in the death of a child every 4.5 seconds of dysentery. According to the World Health Organization, approximately 1.7 billion of those people actually have access to water, but can’t safely drink it due to contamination, lack of infrastructure, or geo-political strife resulting from war or natural disaster. Moreover, as emerging economies develop, these statistics are exacerbated along with the nation’s industrial progression. Subsequent, population migration shifts that then occur further tax developed infrastructure that, in turn, is negatively impacted. Numerous ‘water purification systems’ have been developed that require expensive feasibility studies, and are either too expensive and/or resource intensive to be practical, inevitably failing in the field due to overly sophisticated design, unavailability of repairs/parts in the field, or too expensive to be considered vis-à-vis currently existing GDP in the target area. No longer does a water management system require millions of dollars in feasibility studies, planning, research, and, occasionally, eventual construction. IWC’s Mobile Water Purification System (MWPS) offers a high-volume, no-nonsense, multi-powered, highly affordable, bottom-up solution to this market niche. Over-built and ruggedly engineered, the MWPS is designed specifically to offer the most sustainable, reliable, field proven solution available with the lowest operating and maintenance and total lifetime cost on the market today. The MWPS can be powered by solar, wind, AC line power, or generator for maximum flexibility with a minimum of maintenance and no endless supply trail. International Water Company designs and produces Mobile Water Purification Systems that are used by Governments and NGOs to provide clean water for drinking and agricultural purposes. IWC was organized in 2010 with production facilities in York, Pennsylvania. IWC has authorized distributors throughout the world.